Theresa May has written to the European Union to request a further delay to the UK’s departure date. 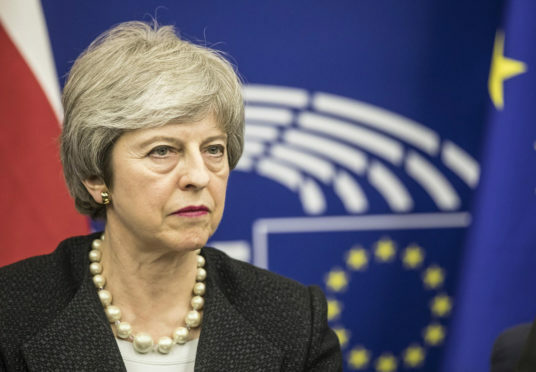 In a letter to the European Council President Donald Tusk, the prime minister said that she was seeking an extension to Article 50 until June 30, with the right to leave earlier if a deal is agreed by MPs. The request will be considered at an emergency EU summit on April 10, where it requires the unanimous agreement of the leaders of the remaining 27 member states. But it has been reported that European Union Council President Donald Tusk is recommending a longer postponement of one year, with a break clause in the case of earlier ratification, in a so-called “flextension” deal. Mrs May has already obtained one extension to the Article 50 withdrawal process, postponing the date of Brexit from March 29 to April 12 – next Friday. In her letter, Mrs May said if ongoing talks with Labour did not lead to a “single unified approach soon” then the government would instead look to establish a “consensus” on options on a future relationship that could be put to the Commons. Aberdeen South Tory MP Ross Thomson, who has twice rejected Mrs May’s Brexit deal, said: “The UK public voted to leave the EU in the 2016 referendum and they expect the government to deliver that. “So it is really disappointing that Parliament’s attempts to thwart the result has dragged this process beyond March 29. “Of course, we can only leave on June 30 if agreement can be reached by May 23. The public are right to expect consensus and soon. Talks aimed at finding a way out of the Brexit deadlock continued between the government and Labour negotiating teams yesterday. Speaking during a visit to south Wales to mark his party’s victory in the Newport West by-election, Jeremy Corbyn said: “There’s been no obvious move on the side of the government as of yet. We’re continuing those talks. “Our position is there has to be a market relationship with Europe, there has to be a customs union, and we have to be able to develop our own policies when we’re in government, particularly competitions policy, which I’m concerned about. The SNP’s Europe spokesman Stephen Gethins called on Mrs May to take up Mr Tusk’s reported offer of a long extension. He said: “She must seek a longer extension to Article 50 to enable a second referendum on EU membership to be held and keep the option to revoke Article 50 to avert a no-deal outcome.